Letting people know that you like them a lot is often found in the little things. But sometimes it’s found in the big things. And that is certainly the case here. 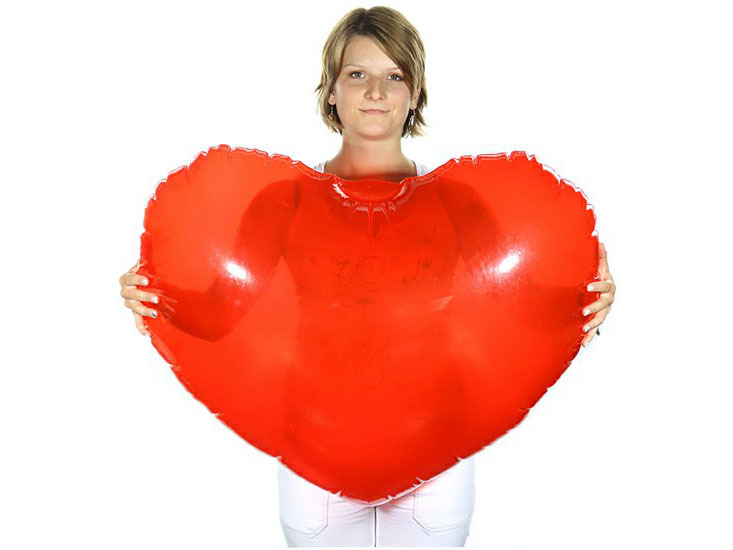 This inflatable giant heart is no less than a square meter. And timeless, just like your love, because you can use it time and time again. Create that larger-than-life feeling that you normally only get in movies. Make an unforgettable statement with this overwhelmingly romantic gift. And give your heart to somebody in a grand way! Give someone you like a lot the best thing you can: a big huge red heart!